Heavy-duty, durable nylon with waterproof coating. 1.8in Side gussets for bulkier or multiple items. Quality full-length zip and stylish chrome puller. 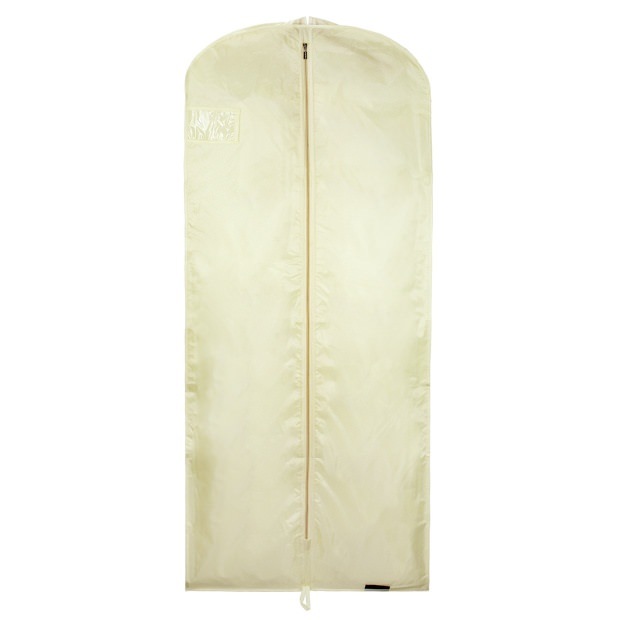 Ideal carry cover to safely transport your clothing avoiding bunching up & creasing of garments. Large, useful zipped pocket - hidden when in a folded position. Ideal protection for skirts, trousers, dresses jackets, coats, shirts, blouses, tops, jumpers etc. Can be folded for travel or let down to full length for long-term storage. Perfect protection for your suits! Size: Length x Width 60" x 24"(152cm x 61cm) approx.